✅ Trip Verified | Hate this airport. 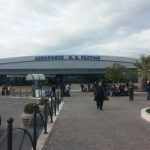 While getting to Fiumicino is as easy as hopping on a direct train from almost anywhere in Rome that leaves very regularly, getting to Ciampino is perhaps one of the hardest ways of getting to any airport that I've ever been to. It is impossible to take public transport to this airport and make your flight. Period. Sure, a taxi will cost you 40 euros, but that's cheaper than the 100 euros you'll inevitably have to pay to buy a new flight when you miss yours. I've left for this airport 3 hours before my flight and missed it. Just now, I arrived at 7:10 pm and wasn't home (in trastevere) until 9:45 pm. By the way, this airport closes. If you're waiting for a flight, they literally just kick you out in the cold. Writing this review has made me realize how every single experience I've had getting to or being at this airport has been terrible. It might be the worst place in the world. "such a cruel way of treating anyone"
✅ Trip Verified | This is the most ridiculous airport I have ever found. While the seats inside the airport are completely empty and a security man is guarding an empty space, people are freezing outside, praying for the time to pass faster. From 12 to 4 am everybody gets kicked out of the airport. It’s not like they are completely shutting down the airport, the lights are on, the heat is working, the place is guarded, etc. They simply choose to not care about the people who are clenching their teeth outside their door because of the cold. On 2 degrees celsius and quite powerful winds, no discrimination will be made: there were parents with small kids, older people, injured etc. There is no explanation that can be given in order to justify such a cruel way of treating anyone. "reminiscent of a bygone age"
✅ Trip Verified | Arrived and departed flying with Ryanair from and to Athens. Arriving was reminiscent of a bygone age - got off the plane and as the aircraft was fairly close to the terminal, we were instructed to just walk! Weather was good, so it was not a problem walking on the tarmac. In the terminal arrival control was speedy and just before the exit there were two bus company offices selling tickets to Rome central railway and bus station. Services are quite frequent. Not the same case for departure. Baggage drop off was fine. Security control though was another case. Queing was never-ending, as flights to Romania, Hungary, Czech Republic, Greece and Ukraine and Russia were all departing with a few minutes interval. The small shop is full of Italian products and staff were polite considering the volume of passengers shopping and workload. 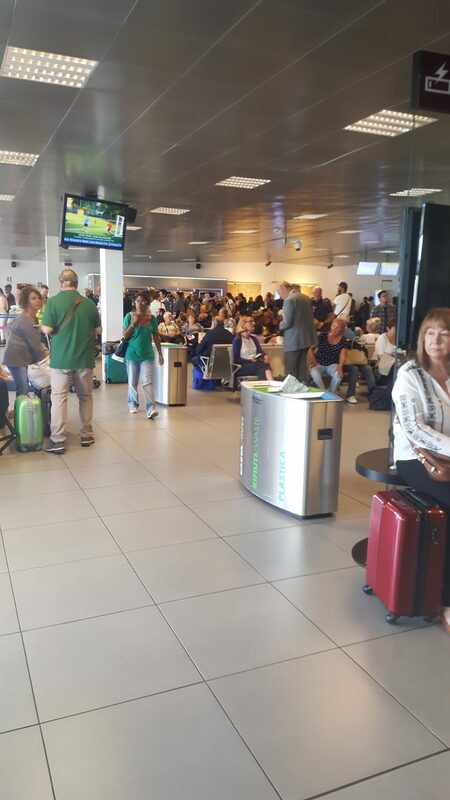 Overall, an ok airport if visiting Rome on vacation. Clearly, Ciampino is handling more flights than it was designed for. "not enough seats for everyone"
Not Verified | Poor seating arrangement. There were lots of flights taking off, and therefore lots of people were waiting for their flight. But there were not enough seats for everyone. People were forced to sit on the floor, which was also not very clean. At some point, it looked like a refugee camp. I would have rated the seating condition in negative, if I could. ✅ Trip Verified | This is one of the worst airports I’ve ever been to. It is extremely small and you have to get something to eat and drink before you go through passport control. If you don’t, you can’t go back and you’ll be stuck with buying stuff from vending machines that claims to take cards but doesn’t. We had to wait in line for a visa check, which was also the same lime as bag drop. There were only a few people working and at least 100 people in line. Our flight was delayed for 5 hours and no one was communicating anything with us. Avoid the airport and save yourself the dissapointment! "eat and drink before passport control"
❎ Not Verified | Eat and drink before you go through passport control as there’s only vending machines. No coffee or tea. No snacks or sandwich etc. Girl cleaning near the very busy coffee/panini place before passport control told us there was food places on other side - there is nothing. And they won’t let you back through. Stuck now for 1 hour 40mins with no coins to have even a water. Watching everyone boarding their plane. "much potential but poor service"
❎ Not Verified | 3/10 Why? So much potential but poor service. Flew with Ryanair. Queue of 70-80 people and only 1 person working on baggage check in. Airside 2 cafeterias - 1 has 3 staff, serving sandwiches and coffee; the other has 2 staff and serves waffles and chocolate and coffee. There are at least 900 people here and 8 or more flights are delayed by more than an hour. At least 300 people standing or sitting against the walls (people are competing for wall spaces to lean back on) because there are far too few seats. WH Smith has a poor selection of English magazines and no magazines to help you study Italian. Duty Free hidden within the clouds of perfume scent is the sour aroma of damp, festering within the brick and plaster of the building. Other shops a ridiculous shop where they price iPad sleeves at €130. Also damp smelling. A 'design' shop that sells rubbish. For people who are bored and 'need to buy something'. There is a lot more opportunity to install another food Caffe, make the waffles part of the other caffes and get to of half of the duty free shop and install a playspace for kids. That said, there is a piano to play, which is quite cool. Naturally though, all you can hear is plinky plonky noise from bored kids bashing away at the keys because they're desperate for something to do. 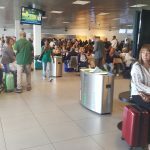 Finally, Ciampino cannot cater for passengers when there are delays. The weather is really miserable, rain pouring down and visibility is low. Of course there are delays. It is only a small airport, dominated by Ryanair. And Ryanair do not invest more than the absolute bare minimum, in order to maximise profit. To reflect the truth, it should just be called Ryanairport Roma. ❎ Not Verified | Absolutely horrible airport. The mens bathroom has no urinals, and the toilets have seats that automatically go down. Gross! The terminal has almost no seats, meaning everyone has to stand while they wait for their flight. Would avoid this airport at all costs! ✅ Trip Verified | I encountered such a problem by the first time: the airport closes during the night from 00.00 to 04.00 in the morning. Passengers are not allowed to wait for their morning flight in the airport and are kicked out on to the street. It doesn't matter it rains, if it's -5 degrees C or that it is simply night! No hotels nearby, taxi costs minimum 50 euros and simply no low cost solution to this situation, only freezing outside. I could not understand the reasons they treat people like animals, the airport itself is full of lights, and the personnel are still inside the building. 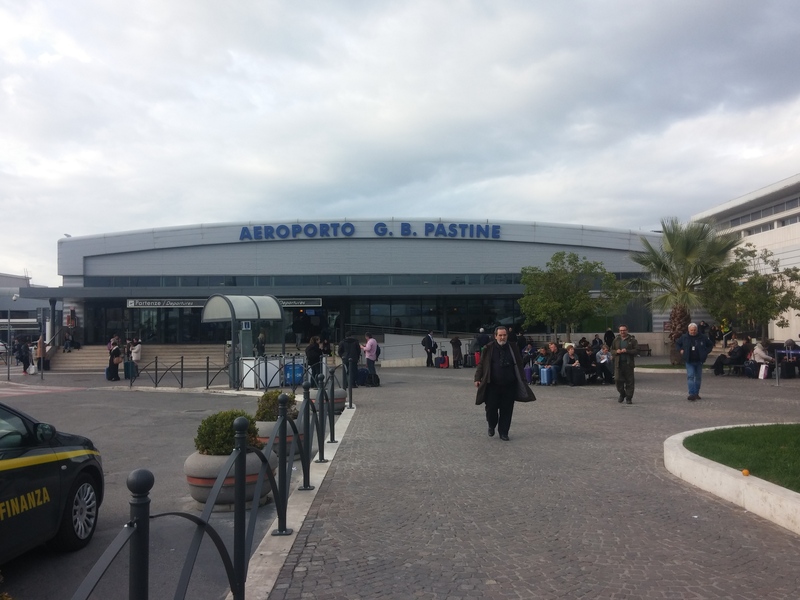 As a conclusion, don't even think to spend the night at Ciampino, it will be your worst travel experience. "found the staff very helpful"
✅ Trip Verified | Having seen the negative reviews I was really concerned about using this airport as I was travelling with children but had to choose this airport due to convenience. My family and I found the staff very helpful and no issues with either arrival or departure. As long as you are organised and give yourself time to check in everything seems to run smoothly and efficiently. I noticed they seem to have a policy of pulling aside women wearing a headscarf to have a detailed search and scarf removed. This was done in a side room with a lady security guard who was polite throughout and treated me and my daughter very well. Food before security was a small restaurant with meat dishes, lasagne, risottos, side dishes and salads. Food after security was OK, a coffee shop that sells croissants, crepes, waffles and gelatos and a sandwich bar - the kids were happy with the selection and options. Small duty free area with the usual perfumes, chocolates, pasta and souvenirs. WHSmiths both sides of security, small but had sufficient items for a short haul flight. There was easy access to toilets and security line queues were very short at the the time of our fully booked flight which was 2pm. I was travelling with a toddler and at no time were we kept waiting or in any difficulty. Due to going through passport control with at least 60 minutes before the flight departure we managed to all get seats (family of 5) but I could see that those who came later about 30 mins before departure had to stand or sit on the floor. There is not enough seating but the flight was running on time so not long to wait if standing. I would use this airport again.